What are the best indoor cannabis seeds? Today, and thanks to the efforts of breeders and cannabis seedbanks that have been selecting, breeding and crossing genetics from around the world, the worlwide cannabis community can choose among a huge range of marijuana strains on the market. The main aim was and still is genetic improvement, so all growers can enjoy a high quality standard that meets their demands. Once we are about to start an indoor crop, the main question is: What are the most suitable strains for growing indoors? Indeed, we have lots of possibilities, and while some genetics show their full potential in indoor grow rooms , others need different conditions or growing systems to provide best results. We must understand correctly our growing system and conditions to choose the correct strains to grow. What marijuana strains should be grown indoors? Probably, the most important factor when growing in indoor cabinets or rooms is plant size, since the available space is limited and plants need favourable environmental conditions for proper development. Indoor cannabis growing started a few decades ago when different strains were grown and bred in indoor grow rooms. 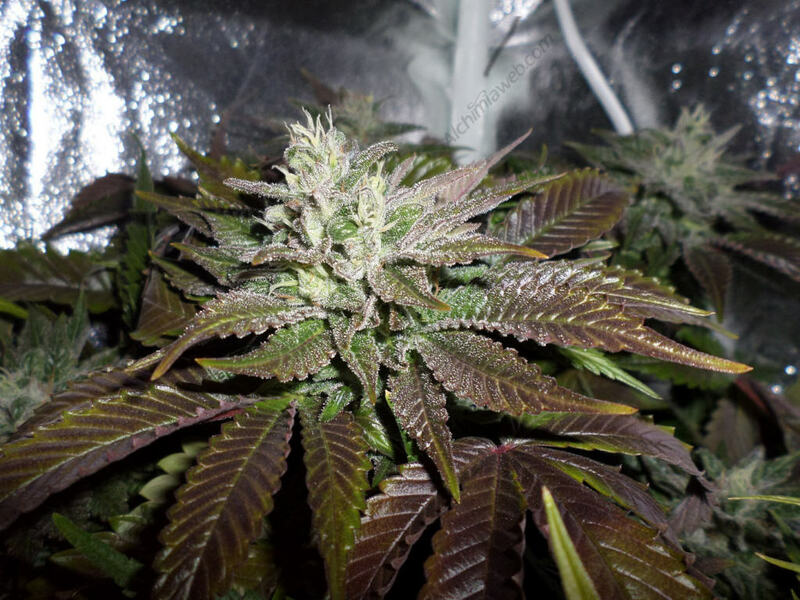 Thus, Sativa-Indica hybrids were mainly developed indoors and are much more adapted to these conditions than, for instance, pure Sativas, which often grow too much and take too much time to flower when grown under HPS, HM, LED, CFL or other artificial lighting systems. 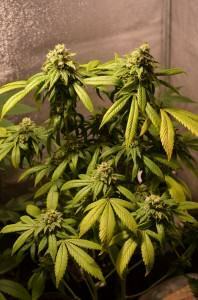 Hybrid cannabis plants combine the best traits of their parents, being vigorous and strong. 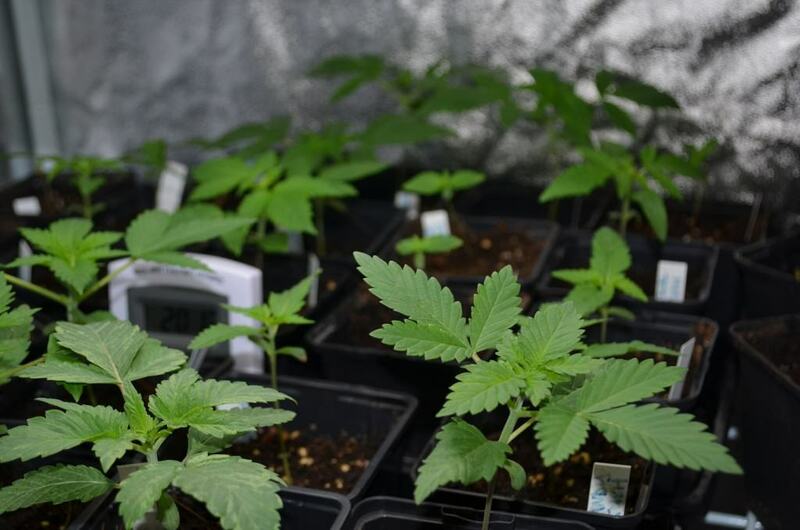 These strains are more easily adapted to indoor conditions than landraces, which haven’t been grown/bred under artificial lights and therefore aren’t adapted to it. Growing indoors means using artificial lighting and ventilation systems, etc. what also means power consumption. This is why we must be sure that we’ll take profit from all this power, getting the best possible yields from our plants without forgetting quality. Plants with a flowering period longer than 10-11 weeks represent a considerable expense in power consumption. 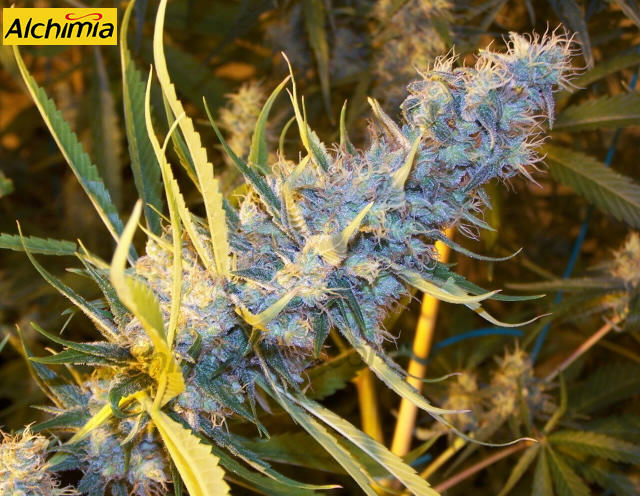 This, combined to their height, made breeders to cross Sativa plants with Indicas to shorten both features, thus creating the socalled Indica-Sativa marijuana hybrids , plants that show an excellent and balanced combination between the main features of both parents. Some examples of cannabis genetic lines suitable for indoor growing are varieties from the White , Blue or Skunk families, as well as Indica-Sativa and Sativa-Indica hybrids. As we have seen, indoor growing allows us to grow lots of different cannabis varieties by using lamps and ventilation systems. 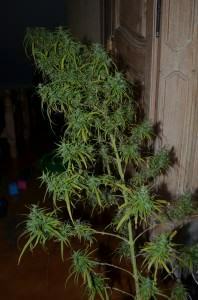 Sativa plants can easily grow too much when grown indoors, although the experienced grower can handle this by using different pruning and training techniques. The SCROG technique , for example, enables the grower to keep the height of the branches uniform and under control. 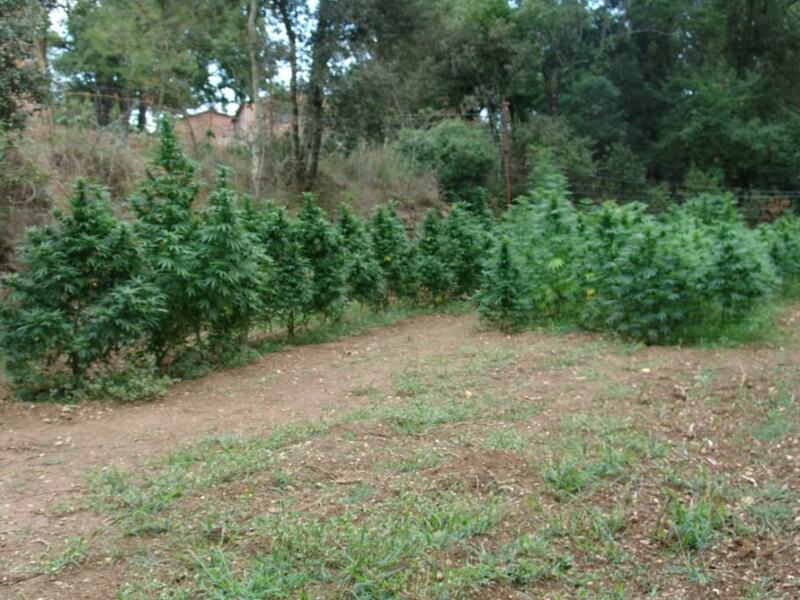 However, and even if the grower is capable of keeping the height under control, the flowering time of Sativas is often too long (12-20 weeks), so – for most growers – they take too much space and time to be worth the effort. If we don’t have appropiate climate conditions in our area to grow old school Sativas like Oldtimers Haze , growing our plants indoors is our only choice, so if we want to enjoy pure Sativas like that we’ll have to be patient! How to grow autoflowering plants indoors? 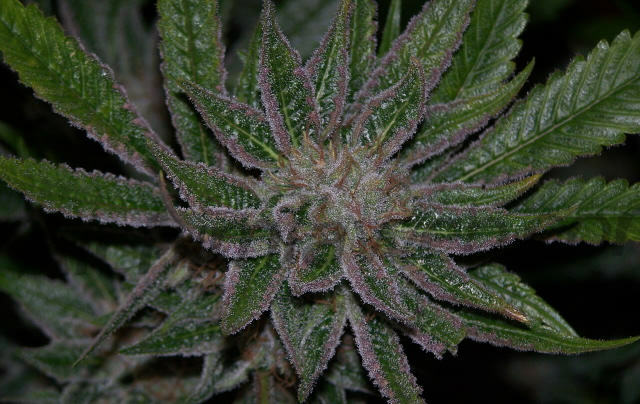 A few years ago, the Lowryder strain was created, an automatic hybrid based on a Ruderalis plant that blooms automatically, regardless of the photoperiod. Since then, lots of autoflowering hybrids have been developed from the Lowryder genetics, which have quickly earned their space in the cannabis scene. Initially, these strains were mainly developed for outdoor crops, although, over time, they have shown greats results in indoor grow rooms too. To obtain best results under artificial lights, we should use 400-600W lamps with a photoperiod of 16-20 daily hours of light. On the other hand, when we grow photoperiod strains (18/6 during growth and 12/12 during bloom) our power bills will be lower, so our grow room is much more efficient when using photoperiod strains rather than autos. 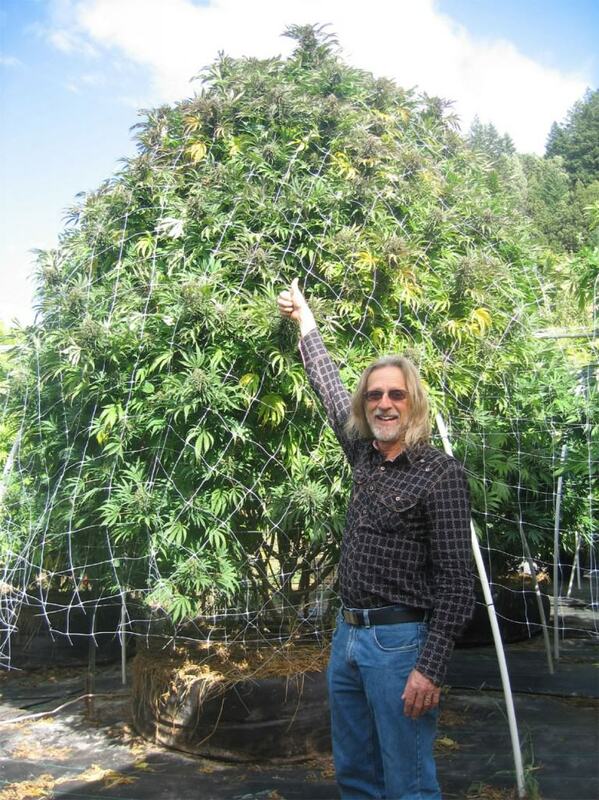 The same happens with Early strains, which were bred for an early outdoor harvest. Sometimes, these strains don’t react well to a sudden change of photoperiod and start flowering when they reach sexual maturity, just as happens with automatic varieties. In this way, there is always a chance that these plants start flowering automatically, and not when the grower decides. We hope these tips helped you to choose what strains to grow indoors depending on your needs and means. Of course, this guide should be used only as a reference, since many experienced growers won’t hesitate to flower their Sativas during 6 months to obtain quality over quantity. I’ve wanted to try growing some good Sativa for a long time but, the super-long flowering times have always kept me from doing it. When you keep a small grow it’s hard to dedicate space for that long a time to produce buds. Earlier on in my growing career I thought that the auto-flowers were the way to go for a small grow, I changed my tune on that one soon enough. I never had very good luck with them, and even if you do have great luck with them, you can never get the potency of a good photoperiod plant. For one thing, I guess my growing methods are much better suited to photoperiod plants, I could never seem to make the proper adjustment. Maybe the stuff I use now would work better for them but, I’ll never find out. Everything I grow, and have grown, (photoperiod), has been Indica/Sativa hybrids, (mostly Indica), and they do very well. Few things in everyday life are as rewarding as nurturing a plant from the seed all the way to the buds going in the jar. Such a beautiful plant, watching their growth and development never gets old, and still impresses me every time. I do love my indoor cannabis! Happy growing! I am in chronic pain from an auto accident & invasive back surgery. I’m on several pain medications & would like to start juicing cannabis. I would like to purchase organic seeds to try growing it inside. I’m disabled also. Can anyone give me suggestions on where to purchase this. Alchimiaweb sends seeds to several countries, including Canada and the UK. Where are you from? I have a 3.5x5x7 ft grow room, 24 21 watt T5 bulbs (504 watt) height adjustable can also adjust lights being used My question is do I have enough lights to grow 4 white widow feminize? You have enough light for the growth stage of plants, but you should try to use HPS bulbs for the flowering period. This type of lamps offer much better yields and quality during bloom. Fluorescents, CFL’s, etc. are ok but basically to grow plants. But if you want to see the full potential of your plants during flowering, HPS lamps (or even LED systems) work much better. Here you have further information on indoor growing. Here you can purchase both feminised seeds and regular seeds. What does it mean when u have 3 started and one has a purple stem the other 2 are dark green….is it just a different strain?? Do you know if the seeds are supposed to be the same strain? If so, and if all three are receiving the same treatment, then it’s most likely to be a different genotypic expression of the strain. Hybrids can show characteristics of either of the parent plants, and sometimes recessive traits from earlier ancestors can come through, depending on how much the breeders have worked to stabilise, or eliminate certain traits from a line.